These are my favourite treats to have as a mid morning snack, a post exercise refuel or for those afternoon sugar cravings!!! Not only are they simple and easy to make, but they taste delicious... Give em' a try and tell me what you think. 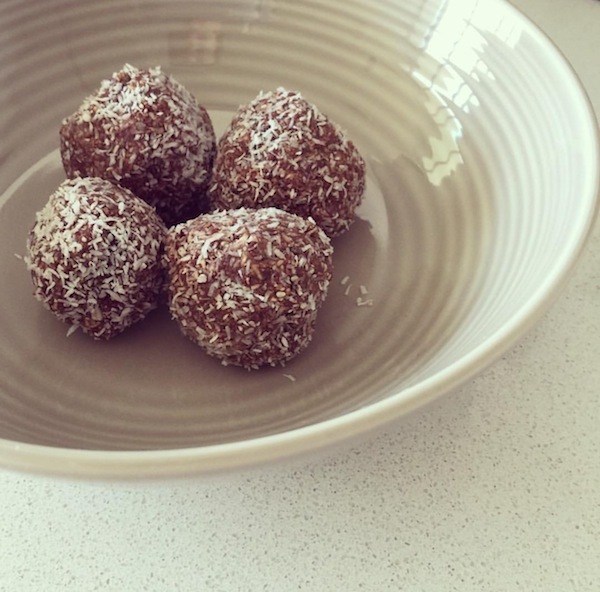 Minus the coconut, mix all ingredients in a bowl and roll into walnut sized balls. Roll the balls into the cup of coconut and place loosely into a container and pop straight into the fridge. Freeze to begin the hardening process, for a speedier end product. Eat away and enjoy! !